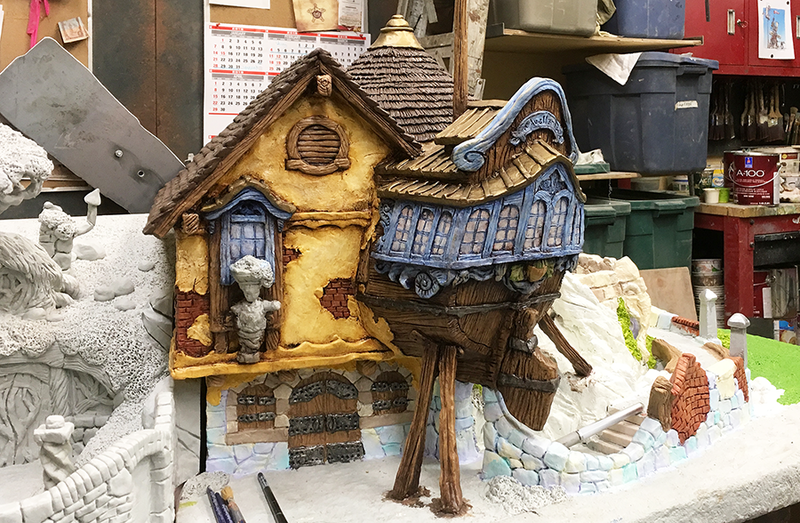 The process of painting the scale model of the Hazelnut Inn is exactly the same as it will be for the real thing when we build it, save for the scale. As we considered the model we selected a range of colours and bought them in gallon quantities. They are the very same paints we will use on the real thing when the time comes in a few months. The base colours are layered on and then custom glazes are applied creating an incredible richness. The result is breathtaking as it will be on the inn itself. I can hardly wait to see the entire model in colour!